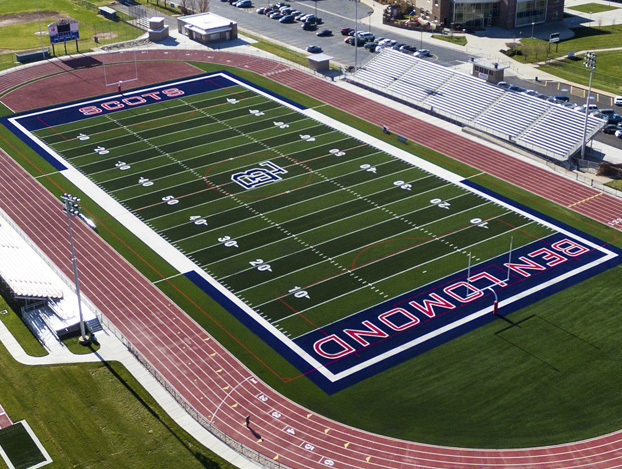 Many college and professional football programs are already playing on new synthetic playing surfaces. As high school sports programs progress into the new millennium, why play on outdated artificial surfaces and risk injury to your players. Academy Sports Turfs’ synthetic grass plays like natural grass, without the maintenance costs, bare spots, and the normal wear and tear.